Illinois will be adding one more Fortune 500 company to the 33 already headquartered in the state. ConAgra Foods Inc. announced on October 1 that it will be restructuring and moving its corporate headquarters from Omaha, Nebraska, where it has been for nearly a century, to Chicago’s Merchandise Mart. 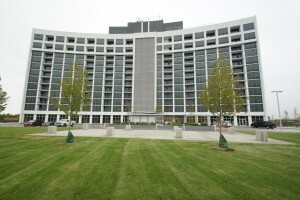 While the restructuring is expected to result in the elimination of approximately 1,500 positions or approximately 30 percent of the company’s global office-based workforce, approximately 700 employees, many from Omaha and Chicago suburb Naperville, will be located in the new Chicago offices by summer 2016. “Locating our headquarters and our largest business segment in Chicago places us in the heart of one of the world’s business capitals and consumer packaged goods centers, enhancing our ability to attract and retain top talent with a focus on brand building and innovation,” said Sean Connolly, president and CEO, ConAgra, in a public release. Illinois does have a workforce in which 60 percent of adults ages 25 to 64 have education past high school. In more rural areas of Illinois, like Vandalia, education and workforce training have been part of long-term economic development. 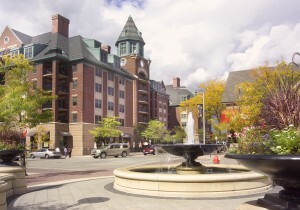 The village of Arlington Heights, near the Chicago center, has its own attractions in addition to its educated population, and has announced that “HSBC is relocating offices to Arlington Heights,” says Michael Mertes, business development coordinator for the village of Arlington Heights Planning and Community Development Department. The British banking and financial services company is expecting to open offices in the spring and create an estimated 1,500 jobs in their 150,000 square feet of office space, he says. “Office and med are the two sectors growing rapidly in the past year or two,” Mertes says; the “med” he’s referring to is Northwest Community Hospital, which “has nearly 500 beds and over 1,000 physicians,” and new 70,000-square-foot rehab center opening this year called Transitional Care of Arlington Heights, which was scheduled to open in October. “I would say we still have interest and we still support a large industrial manufacturing community,” Mertes says. Manufacturing comprises 10 percent of the state’s workforce, employing more than 576,000 workers and accounting for 13 percent of its GDP. Illinois is ranked second among states in manufacturing output in printing and related support products, plastics and rubber and machinery. Vandalia is home to Vanseal Corp., which manufactures rubber seals for the automotive sector and home to Statewide Tire that services tire dealers in three states; “Statewide tire has opportunities to expand here in Vandalia as well,” Gottman says. “Caterpillar is also a big player in the region in unincorporated Montgomery,” Coulombe-Fiore says, explaining that the heavy machinery and equipment manufacturer has moved 300 jobs to the Aurora-Montgomery area and Peoria. At $7.9 billion, Illinois ranks fourth among states in the value of agricultural exports. “The food industry happens to be one of our big growing areas,” Coulombe-Fiore says, noting that Montgomery’s manufacturers, mainly food processors, grew even during the 2009 recession. Those food processors include Butterball, Eby-Brown (a distributor to convenience stores and gas stations), Wrigley, which is expanding to produce Skittles in Montgomery, and Fox River Foods Inc., owned by Performance Food Group, which recently expanded and now has about 500 employees and processes foods for national brands such as Buffalo Wild Wings. Waubonsee Community College prepares workers in Montgomery, first by offering a general work skills certification and then training certified workers “within the scope of the services that are needed” by a specific company, as Coulombe-Fiore explains. 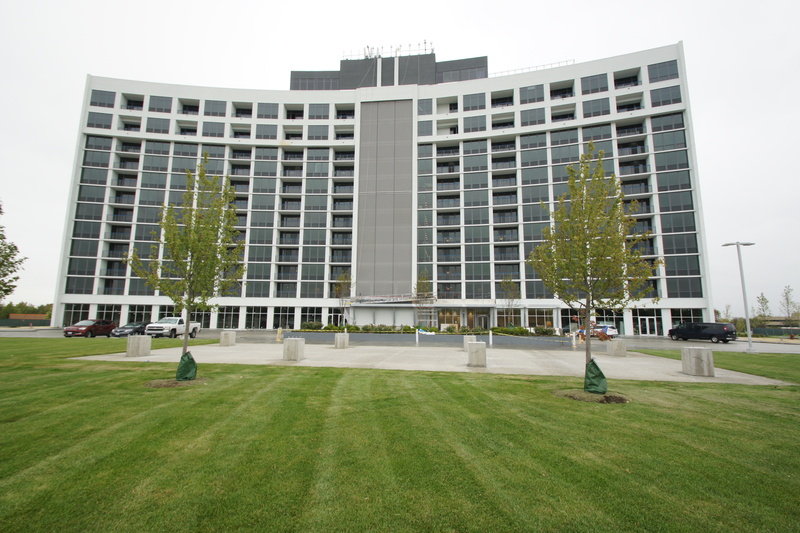 “We have over 48,000 people who work in Arlington Heights,” Mertes says. “Over half our residents age 25 or over have at least a B.A. ; over 95 percent have a diploma.” Harper Community College and satellite campuses of Robert Morris University and ITT Tech serve Arlington Heights. Kaskaskia College has a satellite campus in Vandalia. “They are here to help employers train workers in any way,” Gottman says. Vandalia has been preparing high school students in the Okaw Area Vocational Center to enter the workforce directly out of high school as well. “We do have a trained workforce,” Gottman says, explaining that the closing of manufacturing and distribution facilities has created a population trained in blow molding, warehousing, and trucking looking for companies to hire them in Vandalia. Vandalia is in central Illinois and located on I-70, an east-west artery from Appalachia to Utah. The city of Vandalia industrial land is 120 acres adjacent to I-70, with access to rail and Highways 51 and 185, as Gottman explains. “Everything is ready to go; we just need a developer,” he says, noting that the city is willing, if a company will create enough new jobs, to let that company own the land free of charge. Vandalia’s hospital also serves as a business asset, Gottman explains, because it offers high quality occupational medicine for the area’s businesses. Montgomery’s land also has rail access, which is not surprising, given that 50 percent of all U.S. rail traffic passes through Illinois. 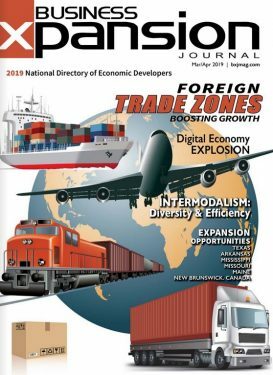 Arlington Heights offers “multiple industrial parks, some with access to rail and with immediate access to interstate highways,” Mertes says. “We have two Metra commuter rail stations that serve the community,” he says, noting that Arlington Heights is a “10 or 15 minute drive” to O’Hare International Airport, one of the three international airports in Illinois. “We just had a huge expansion in our park district,” Coulombe-Fiore says, describing expansions of playing fields on the west side of town near newer homes. Arlington Heights boasts a “vibrant award-winning downtown with restaurants that include the first Star Cinema Grill outside of Texas,” Mertes says. The city is also home to Arlington International Racecourse, an internationally acclaimed horse racing track that has hosted the Breeder’s Cup, as well as Mitsuwa Marketplace, the largest Japanese grocer not on either coast, as Mertes notes. Vandalia also enjoys a “pretty good quality of life,” Gottman says, noting that citizens of Vandalia can reach St. Louis in a little over an hour, Indianapolis in fewer than three, and Chicago in fewer than four.